UPDATE: Government scraps plans to block websites that infringe copyright | What Hi-Fi? Plans to block websites that host material that infringes copyright, one of the key provisions in the Digital Economy Act, have been dropped by the Government. Business secretary Vince Cable announced the change today following a review of the policy by regulator Ofcom. Internet Service Providers (ISPs) such as BT and TalkTalk had long fought against the proposed legislation. Last week BT was ordered by the High Court in London to block access to the Newzbin2 website which provides links to pirated films. The action was taken without using the Digital Economy Act, leading some observers to question the need for legislation. Speaking to the BBC, Vince Cable appeared to suggest that the Newzbin2 case had opened-up other legal avenues for blocking illegal filesharing sites. "We've discovered that the drafting of the original laws, which took place a year or so ago, were not tight. "There are test cases being fought in the courts, so we're looking at other ways of achieving the same objective, the blocking objective, to protect intellectual property in those cases, but in a way that's legally sound." 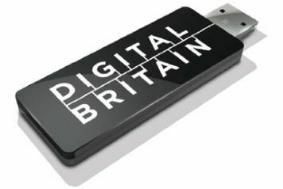 The business secretary has also announced a raft of changes to update the UK's copyright laws to make CD/DVD ripping (copying) for personal use legal. Culture secretary Jeremy Hunt has asked the industry watchdog Ofcom to review parts of the Digital Economy Act to decide if they're workable. The Act, which is designed to protect copyright holders by blocking illegal filesharing, was passed in April 2010 by the last Labour Government. A statement issued by the Department for Culture, Media and Sport says that the review was prompted by public feedback through the Your Freedom website, which was set up by the Coalition government to canvas public opinion on issues. "When we launched Your Freedom, I promised that the ideas submitted would be given proper consideration. Although reform of the Digital Economy Act did not form part of the Coalition Agreement, we have listened to the views expressed," says Deputy Prime Minister, Nick Clegg. "The Government will look at whether we have the right tools for the job in addressing the problem of online copyright infringement."